TCOG Governing Board Members: President Honorable Jason Brinkley, County Judge, Cooke County; Vice President Kevin Couch, Council Member, City of Sherman; Secretary/Treasurer Honorable Creta L. Carter II, County Judge, Fannin County; Honorable Bob Thomas, Council Member, City of Bonham; Honorable Cliff Sicking, Cooke County Small City Representative, City of Muenster; Honorable David Turner, Grayson County Small City Representative, City of Southmayd; Honorable Jeff Whitmire, Commissioner, Precinct 01, Grayson County; Honorable Jim Goldsworthy, Mayor, City of Gainesville; Honorable Phyllis James, Community Representative, Grayson County; Honorable Ronnie Bruce, Fannin County Small City Representative, City of Ravenna; Honorable Teresa Adams, Council Member, City of Denison; Mr. Jason Fox, School District Representative, Bonham ISD; Mr. Dan Busch, Community Representative, Cooke County; Ms. Karla Metzler, College Representative, North Central Texas College; Reverend Cecil Jones, Community Representative, Fannin County; Representative Drew Springer (ex-officio), Texas State House District 68, Texas House of Representatives. 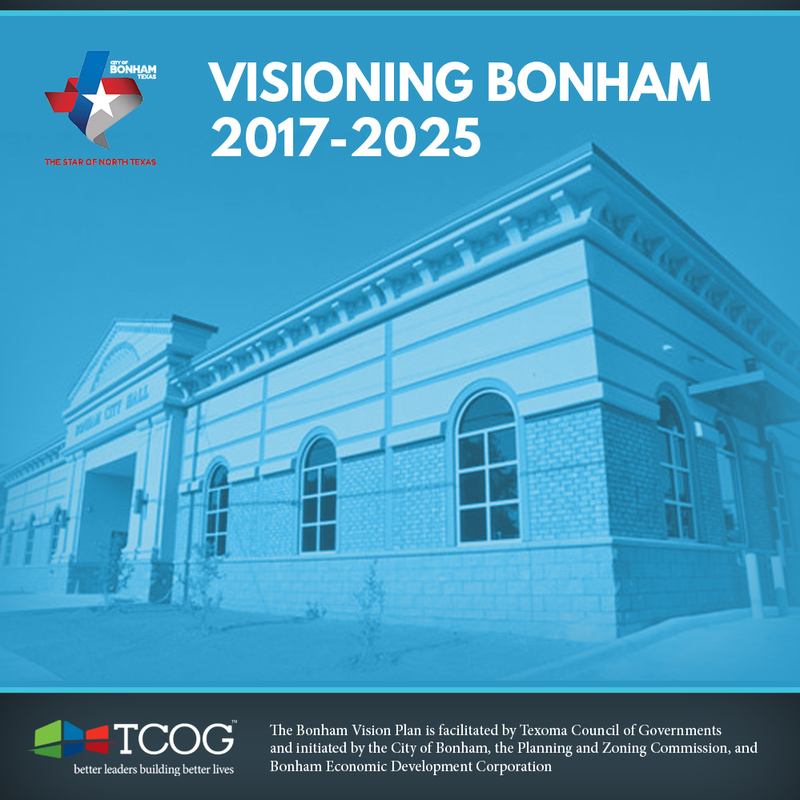 Texoma Council of Governments (TCOG) is designated by the U.S. Economic Development Administration as the Economic Development District for the Texoma region of Texas (Cooke, Fannin, and Grayson counties). 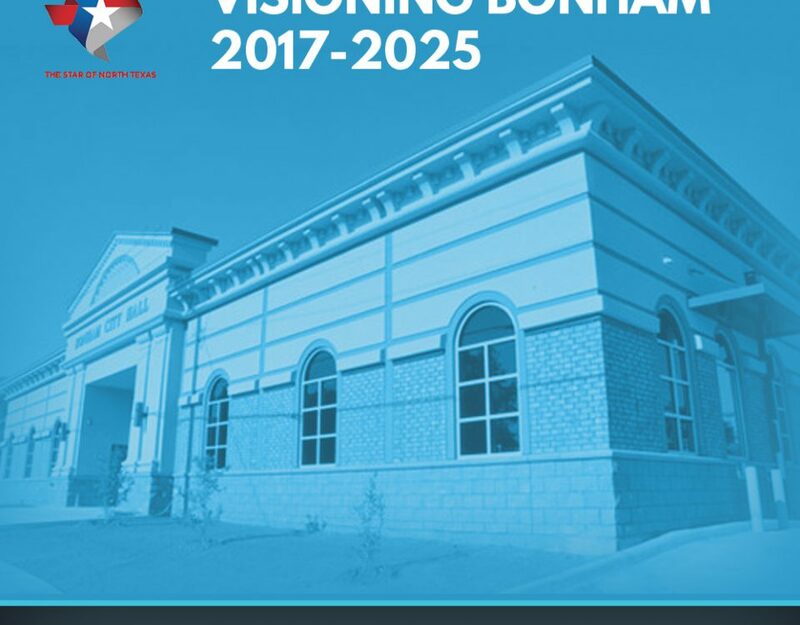 As such, TCOG is responsible for facilitating the creation of a five year planning document or Comprehensive Economic Development Strategies (CEDS). The CEDS is created through a rigorous locally-based, regionally-driven economic development planning process guided by a committee of stakeholders from each of the three counties in the Texoma region. Through the collection of data from various secondary sources such as the U.S. Census Bureau and The Bureau of Labor Statistics as well as primary data collected locally through the use of surveys the CEDS Committee suggests regional strategies for economic growth. The data collected are analyzed to discover strengths, weaknesses, opportunities, and challenges and provides committee members with a snapshot of current economic conditions. 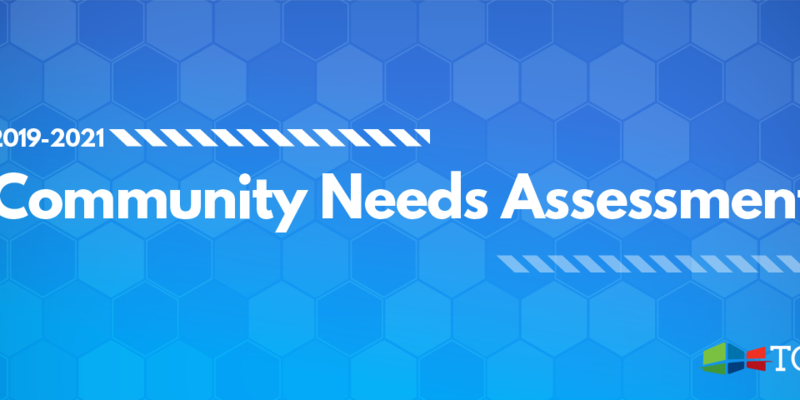 The CEDS Committee can then formulate strategies for leveraging strengths to overcoming weakness, and utilizing opportunities to meet current and future challenges. In Texoma, Grayson County continues to be the fastest growing of the three counties with Cooke County second and Fannin County third. The change in population from our 2012-17 CEDS and the projected population growth for the 2017-22 CEDS both echo a trend we are seeing on a national level. Urban areas are growing at rapid rates while rural areas are growing at a slow and steady pace. Perhaps the most notable changes for Texoma lie in the changing racial demographics of the growth. Hispanic populations now represent the fastest growing demographic group for Texoma. Culturally relevant solutions will need to be considered as issues which are experienced at higher rates among Hispanics move into the mainstream during this shift of racial demographics. Social issues that are seen in greater concentrations in the Hispanic communities may be felt on a broader scope. Dealing with population growth and demographic changes will be challenges that must be considered in economic development for the region. Another challenge for the region is the shortage of available housing. This is an issue for all of the cities in the region and is a major issue in economic development. A growing workforce is needed for new industry and business, and this workforce must be housed. Housing shortages hinder the ability of cities and counties to attract new business for fears that there will not be enough housing to support the workforce needed. Another challenge for the region is transportation. Many of the region’s residents live in rural areas (where job opportunities are scarce) and face the dilemma of finding affordable, reliable transportation to commute to more densely populated areas for employment. There are strengths in the region to help Texoma address these challenges. Natural resources and the friendly laid back characteristic of the area provide lifestyle accommodations that are commonly sought by employees to attract a larger workforce pool. Ecotourism continues to bolster economic health as well as the regions many creative industries such as craft beverage and the natural and organic industry that relies heavily on our natural resources.